With this group activity, you can use molecular model kits, hand-made atoms or marshmallows to simulate the Life Cycle. 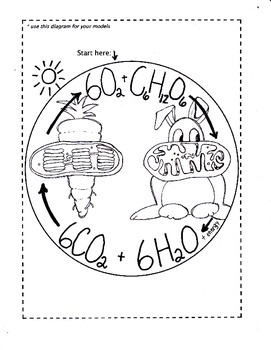 It is simple, yet effective in showing students how animals and plants depend on each other for their lives. 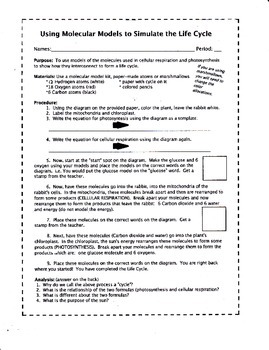 I always start out my unit on cellular energetics with this lab activity.